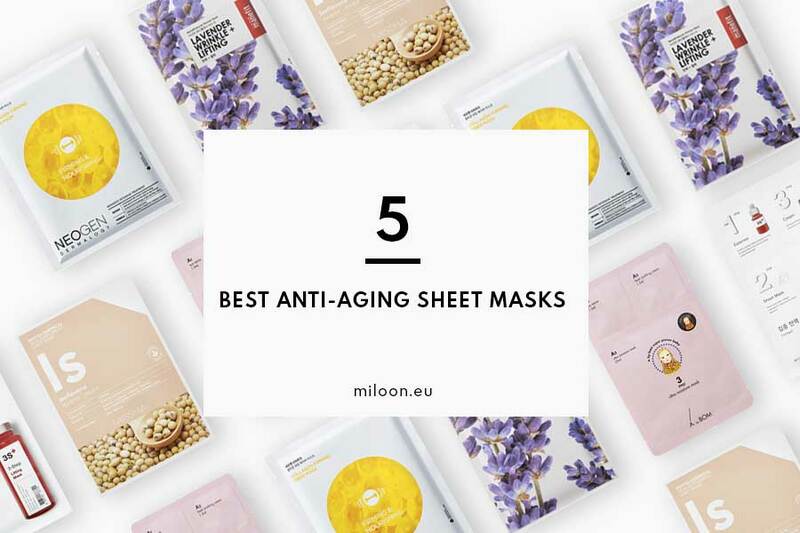 Time Traveling isn’t just an urban legend, at least when it comes to miloon’s very own K-Beauty pick of concerns anti-aging sheet masks. Rewind your clock isn’t science fiction material: it’s a reality. Based on natural and effective ingredients and hi-tech formulations, these little wonders selected from the best Korean brands, will make fine lines and loss of elasticity a thing of the past. Everywhere. In less than 15 minutes. Let’s discover together 5 effective ways to stop time. MISSHA – PHYTOCHEMICAL SKIN SUPPLEMENT SHEET MASK (ISOFLAVONE/DEEP MOISTURE). Rich in antioxidants, it nourish and moisturize. 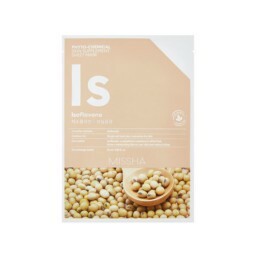 This mask in a white sheet contains isoflavone extracted from milk, soy and beans. It deeply moisturizes the skin, brightens and prevents moisture loss. Dermatologically tested, Missha Phytochemical Supplement Sheet Mask contains phytochemicals, active ingredients extracted from plants and vegetables rich in carbohydrates, fats, proteins, vitamins and minerals. Most of them play the role of antioxidants that prevent the action of free radicals. Missha Phytochemical Supplement Sheet Mask is made of microfiber so to not irritate the skin. Delivers elasticity, regeneration, soothe, instant glow. 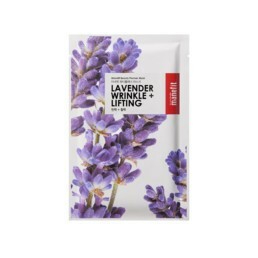 A thin and soft mask based on lavender designed to improve skin elasticity, revitalizes and prevents wrinkles. This is recommended for dull skin, devoid of luster, which with age has lost its firmness. Tis mask is all about innovation: it employs a sheet that is twice as thinner and perfectly adapts to the contour of your face like a second skin. The formulation employs lavender extract to make the skin elastic, regenerates, restores glow and has anti-inflammatory properties. A. 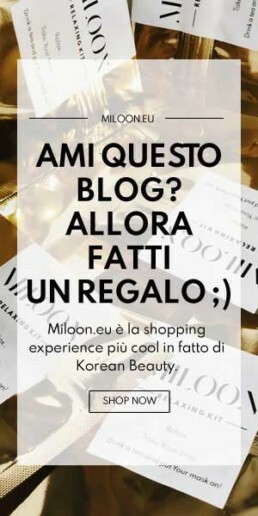 BY BOM – 3 STEP ULTRA MOISTURE MASK. Infused with a natural plant serum, it illuminates and plumps skin up. 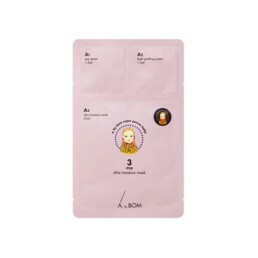 A new generation of Korean sheet masks is born from the creativity of A. by BOM. Ultra Moisture Mask is infused with vegetable essential oils and fermentation complex extracts that rejuvenate and lock moisture into skin. 1. EYE SERUM: with vegetable essential oil that soothe that fine area and target wrinkles, fine lines and dark circles. 2. A CREAM-ESSENCE: infused with a vegetable complex extracts providing sheer amount of hydration, while boosting the radiance. 3. LYOCELL MASK: apply above the cream-essence to maintain the active ingredients onto skin and boost their absorption. Soaked with fresh herbs and a fermented vegetable complex, this masks balance the natural hydratation level while comforting skin.All skin types, especially highly dehydrated, dry or stressed skin. Apple – provides essential nutrients to balance the natural hydration level of skin. Chamomille – it soften, moisturize and soothe stressed and irritated skins. Aloe vera – a super-plant that reveals multiple benefits: hydrating, tightening, soothing, anti wrinkles and balancing. NEOGEN – COLLAGEN FIRMING FIBER MASK. Collagen-powered firming, nourishing and lifts skin. This is a Firming mask in a pad made of Cupro (cellulose fiber) enriched with collagen and Mung bean extract. This has the effect of an ampoule concentrated in the mask. It features an internal and external system to improve skin elasticity. Completed clinical tests in terms of effectiveness and safety for the skin. Its formula is free from 6 harmful ingredients: un fact, it does not contain parabens, artificial colors, benzophenone, sorbic acid, benzyl alcohol, TEA. Firming effect (40%): Collagen makes the skin elastic, does not cause irritation. Lifting action (20%): panthenol and maczadnik eliminate wrinkles. Protective effect (20%): strengthens the natural protective barrier of the skin. Neogen Collagen Firming Fiber Mask employs natural ingredients for maximum delicate yet efficient effect. Collagen: Firms, moisturizes and reduces wrinkles. Panthenol: Vitamin B5 derivative, smoothes, improves elasticity, reduces skin darkening. Beta-glucan: soothes irritations and soothes the skin, stimulates the production of collagen, evens skin tone, firms. Phellinus Linteus: It aligns skin tone, smoothes. Cordyceps: anti-inflammatory, antibacterial. It prevents wrinkles. Mung Beans extract. It contains vitamin C, thanks to which it brightens discolorations. Accelerates the treatment of inflammation of the skin. 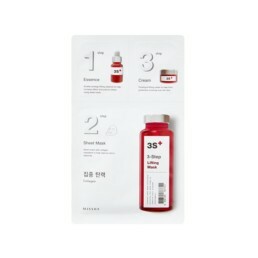 MISSHA – 3 STEP LIFTING MASK. Firming and nourishing action to liven up dull skin. Missha 3-step lifting mask is a firming and nutritious 3 Step treatment enriched by ceramides. It was designed for matte skin that needs immediate nutrition. Here’s how it works.